Many times, you might have realized the need of a voice recorder on your smartphone. It is one of many purposes which your smartphone can solve. Having a quick and sharp voice recorder is must if you often record songs or music on your android phone. It is also very much required for the people who deal with the situation in which they need to record every conversation either it can be a personal conversation or a business conversation. To solve this purpose if you do not find your stock sound recorder enough then you can choose a third-party application. 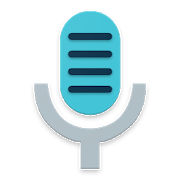 So here is the list of 7 best Android applications for High quality voice Recording which will make is easier for you to choose the best one. 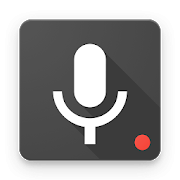 As we have discussed earlier that a voice recording app should be with an easy and quick interface so that it can be handy and you can access it anytime. By default, you can record audios on the app in WAV or PCM format. Though free version is also enough in itself. If you need to have your recordings in much superior quality and in some more formats then you should go for the paid version. As the name suggests smart voice recorder is having smart algorithms which helps you to record clear voice with superior quality. You can directly share voiced recordings over the email or can share them on the drop box. The interface of application is modern yet easy to use the application is having comparatively large number of formats in which you can save your recordings. You can choose a path of your chose to save your recordings. You can use hard keys of your phone to control recordings this allows you to record even when your device is in your pocket or bag. Name of the application itself specifies so much about the app. You can record high quality MP3 clips using the application. The application is also loaded with widgets which can help you to quickly start recording from the home screen of your smartphone. You can sync your recordings over Wi-Fi or mobile data. The app allows you to make full customization you can set the audio quality up to 320kbps. Apart from MP3 you can also record in many other formats such as M4A, WAV, OGG. 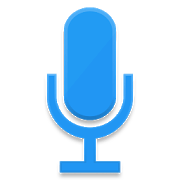 The application was being into the list of top applications to record voice in 2017 and this is why you must give it a try. 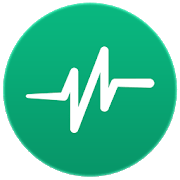 The best part about the application is it has completely hidden recorder which can record even without showing any notification or pop up on the screen of your android device. You can limit the length of the recording. Its noise cancellation feature leaves you with a crystal-clear recording. If you want to record your classroom sessions then it is the perfect application for this purpose. Another application in our list is Smart recorder by Smart Mob. The application is having live audio spectrum analyzer. Which helps to enhance quality of your recordings. You can change storage directory. It is a very useful application for the purpose of office meetings and recording a classroom session. You can set your recorded file as ringtone or as wake up alarm. You can also record in background even when display is off. The application is having lite version and full version. 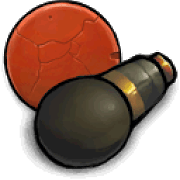 Lite version is having all the features you will get in the full version. Some add on features of this application are that you can crop the recording and can make a loop of a specific selection. You can also invert the selection. 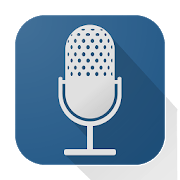 With this application you can not only record audios but you can also edit existing audio files on your device and can crop them to your favorite part to make a ringtone or a wake-up alarm. And the last but not the least Parrot voice recorder application also comes with functionality to record voice with an ease. You can easily share your recordings over cloud storages and you do not need to much bother about the formats because application supports almost all the formats. You can translate your recordings in multiple languages such as French, English, Russian etc. 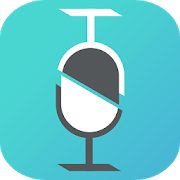 These were 7 best recording apps for your Android device with the help of these application you can quickly record in high quality. So, go ahead and choose an application to record high quality audio quickly. Srishti Shreshth is a technical writer and a tech lover, she keeps an eye on new releases for android and iOS devices. She loves to hand on and write about utility apps such as voice recorder, Photography apps, GPS, Cam scanners etc. Previous Post:What Treatments Are Available for Sensitive Teeth?